The Associated Press is reporting that Maine’s Secretary of State has OKed a statewide vote to repeal new taxes on beer, wine and soda. The question will be on the ballot for the Nov. 4 presidential vote. The group Fed Up With Taxes coalition submitted enough signatures of registered voters to get the question on the ballot. After reviewing the more than 95,000 signatures that were turned in last month, Dunlap’s office found 22,788 of the signature to be invalid. Still, the 72,432 valid signatures exceeded the required number by more than 17,000. At issue is a measure enacted by the Legislature in April to increase taxes on beer and wine, soda, flavored water and other drinks to help bolster funding for Maine’s state-run Dirigo Health program. This pours a dark amber with a very nice head. This is a dark looking IPA, very nice. The aroma is sweet and fruity with a hop, evergreen hint flowing through. It is smooth and slightly bitter. You get that evergreen taste that carries through to the back of the palate and it ends with a slight bite. Good not great. Pours a very nice dark brown with a big head. I would say the head is about two fingers, creamy and tan. Be sure to pour slowly. Nice aroma with a bit of nut and dry fruit coming through. 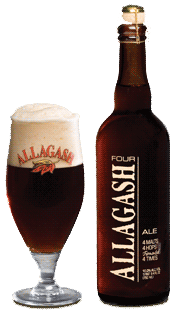 The taste was quite satisfying and I was very impressed by Allagash’s effort. A little light in body. Better as it warmed a little as the full flavor and aroma really came out. Again, I was very impressed with this effort. The flavor was a bit nutty and carmel like. I feel the Ommegang Abbey Ale is just a bit better version of this Belgian classic, though by the numbers I rated them exactly the same. I guess I always took for granted the great beer culture I was surrounded by when I lived in Maine for four years while attending college. Well, not any more.I return fresh from my bi-yearly jaunt to the coastal region of Maine, and I return with many flavorful stories. In the mid-1990s, Allagash Brewing was just getting its start when I was roaming the frosty hills of Portland. Today they have now grown into one of the best Belgian beer impersonators in the country. I would have to estimate that if you were to rank the top 20 beers in Maine, 15 would come from Allagash. Each area of Maine — the coast, the mountains, the lake lands — all have their own little beer communities. All About Beer Magazine just named Portland one of the better beer cities in the nation. 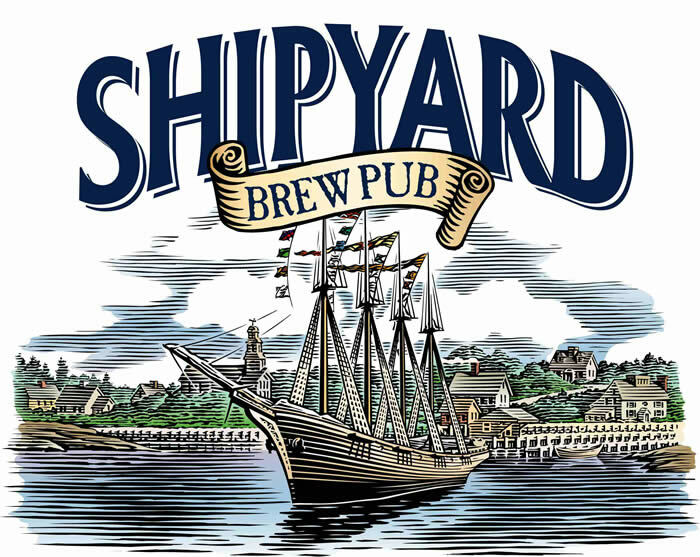 Shipyard Brewing Company in Portland is one of the country’s oldest microbreweries and does a pretty good job representing the area. Also in Portland is Gritty’s. Gritty’s beers have a distinct flavor that carries through in each of their beers. I’m not sure how they do that from a brown to a summer ale, but they do. Must be the malt backbone. Way up in Bar Harbor, I find my favorite fruit beer of them all: The Atlantic Bar Harbor Blueberry Ale, made with real blueberries. A hidden gem is the Sheepscot Valley Brewing Company and its line of brews. They have a tendency to be low in carbonation but non-the-less great. There are so many great beers in Maine and I could fire them all off (Stone Coast Brewing, Sea Dog Brewing Co., Kennebec Brewing Co., Kennebunkport Brewing Co.) but my editor has me on a tight word count. Must be a wine lover. I regress. 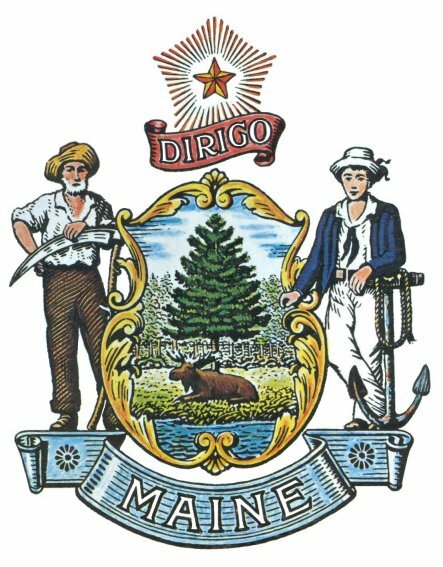 The state of Maine was supportive of prohibition even before prohibition went national, hampering early development of breweries. However, they have made up for all of that in the past 20 years. Poured from a 75cl bottle at a restaurant in Brunswick, ME, at a surprising very good price. It poured amber brown with a small but nice looking head. The head went down quickly after the pour. It was malty on first taste but it was also cold and that seemed to be masking some of the real flavor. As the drinking went on the wonderful bouquet and flavor came through. I picked up raisin, some mild nut and lots of yeast and malt. It really just kept getting better and better and better. Wonderful beer. I was fully impressed by the end of the experience.